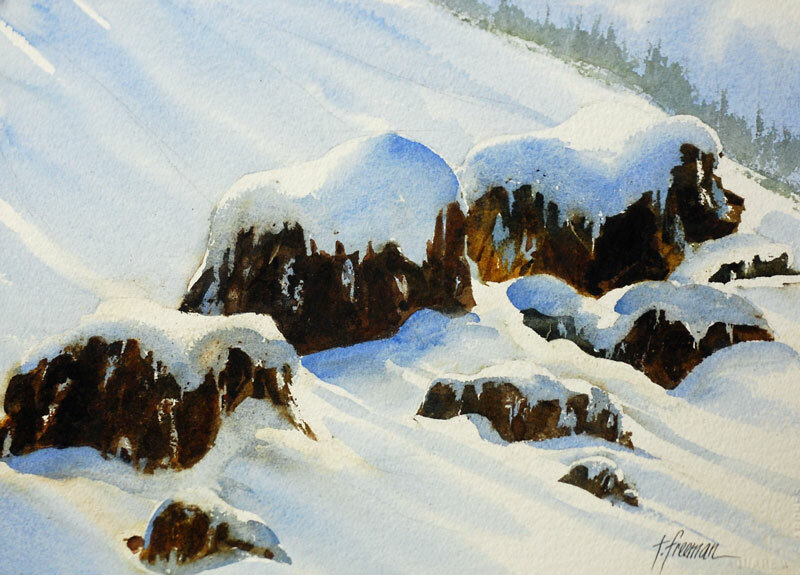 Thomas Freeman Original Watercolor Painting: "Last Snow Before Spring"
The last heavy snowfall before the Spring greenery takes over. I preserved the snow on the rocks with liquid masking fluid before wetting the paper (300 # Arches Rough). This is a scene remembered from one of my trips to the Lake Tahoe area.